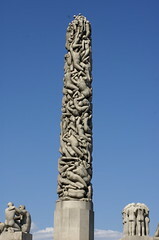 Monolitten – “The Monolith” – is a 17m high Norwegian monument. As with all monoliths, The Monolith is carved out of a single piece of rock – in this case, granite. During the 1990s, the monolithic software application dominated the enterprise software market, both architecturally and in business models. Originally associated with mainframe computing, in software terms, “monolithic” describes a self-contained software package in which user interface and data processing code is wrapped into a single, proprietary solution with little or no interaction with other software. Software empires like Microsoft, CA and Oracle were all built on the back of monolithic solutions. In our report, we note that broad technology trends such as service-oriented architecture, open source, maturing Internet technologies and cloud computing are creating an environment open to start-ups (even if they are starved of venture capital as most Ontario-based companies are and even if the overall market is stagnant or at best growing outside the North American continent). To a degree, the opportunities lies in recognizing that the monolithic applications entrenched in today’s corporate environment are under tremendous pressure to become more flexible and open. The global economic downturn is forcing organizations to examine the way they operate and will drive a significant amount of strategic change. However, change is difficult; many executives view existing IT systems as one of the biggest obstacles to change and something that causes many strategic initiatives to fail. While incumbent software companies are busy transforming their systems to meet their clients’ need for flexibility, they are at the same time facing pressure on the traditional and very lucrative business model that the software package was based on: upfront licensing fee + ongoing maintenance charges + user training + customer service charges + implementation and integration fees. The increased amount of flexibility requested by enterprise software customers also extends to the way they purchase and pay for their software, creating the basis for a range of new business models that are being explored in today’s enterprise software market. In our report, we highlight the new business models that are being explored in the software market and recommend that start-ups ensure that their freedom from legacy issues — both with regards to software architecture and business model — are being exploited. The increased modularity in software development means that there is room for both specialized services and lightweight apps in the enterprise applications market. Please download and read our report – comments are welcome. We are especially interested in hearing from early stage start-ups in Ontario – our team of advisors offer advice and support, but we’re also always learning.